I’m Ujjwal living in Pune, India . 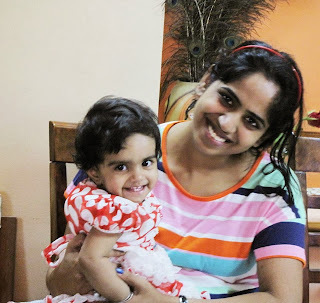 I am a software engineer turned Stay-at-home-mom to a 14 month old baby girl. I love creating and exploring different forms of art but stamping is something that has stayed with me though all my experiments and adventures in crafting. My style of crafting is more towards clean and simple but I love trying out different techniques once in awhile so I would put myself in the mixed style category. Of late, I have been enjoying making layouts featuring my baby,mini albums and scrapbooks. I have also been experimenting a little with decoupage and mixed media art. Here's my inspiration for this fortnight's challenge - Load it Up! The layers on this card are..
1. 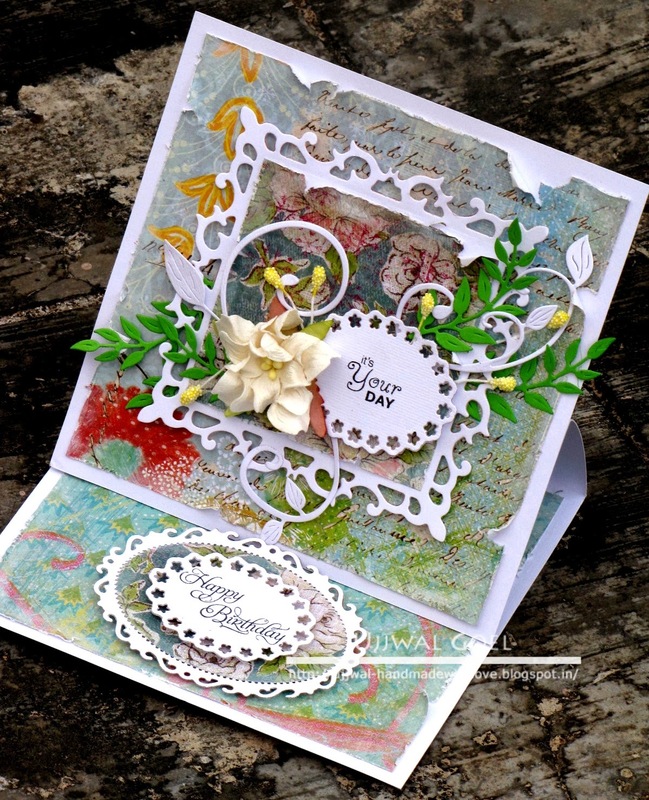 To prepare the easel card base, follow the tutorial HERE. 2. 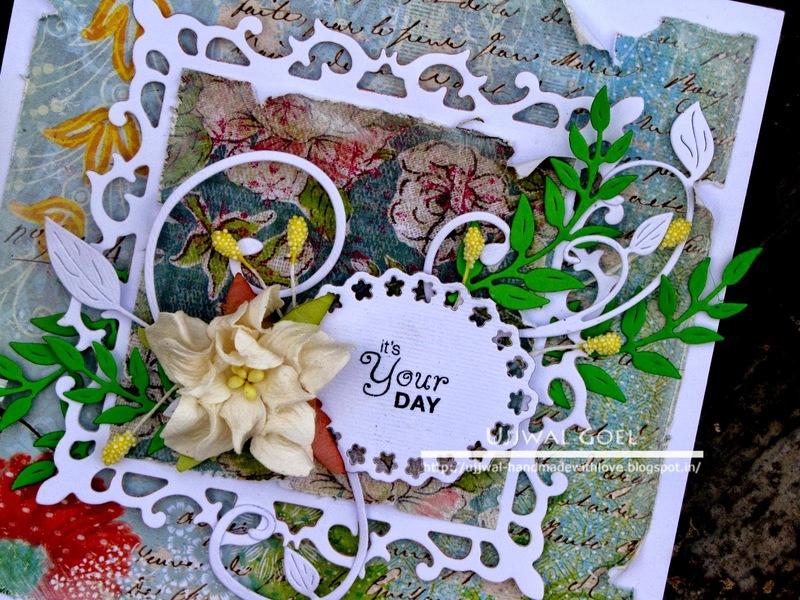 To add layers to the card, cut a piece of pattern paper to card size, torn edges with scissors and distress the edges with some white ink for the dreamy effect. 3. Die cut a piece of white cardstock using ........ die and adhere another pattern paper on it. 4. Die cut another piece of white cardstock using ...... die and stamp sentiment on it. 5. Embellish with die-cut flourishes, leaf branches, pollens and mulberry flower. 6. Repeat steps for inside. I hope my post inspires you. You still have 3 more days to join this awesome challenge! 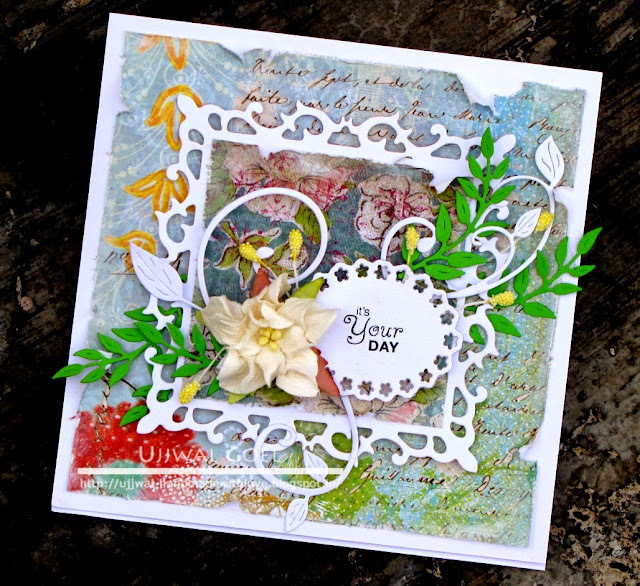 Pretty card Ujjwal. It's always a delight to see your work! Lovely card ujjwal.... U always come up wid a beauty. Beautiful card ! I loved the pp with torn edges and the diecuts look very lovely ! !